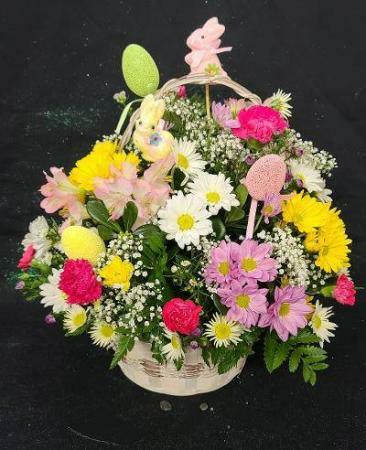 Fresh mixed spring colors flowers accented with Easter eggs and stuffed bunny pick. So cute! A "fresh from the garden look" is sure to brighten anyone's day. 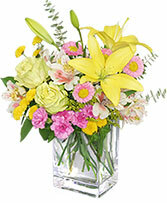 Call FAIR HILL FLORIST to send this spring flower bouquet or order online 24 hours a day. 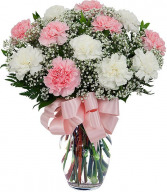 Pink and white carnations a classic way to show your affection or just to bring a smile to someone's face. A mixture of pretty pinks, purples and yellows. A bright way to surprise anyone's day.